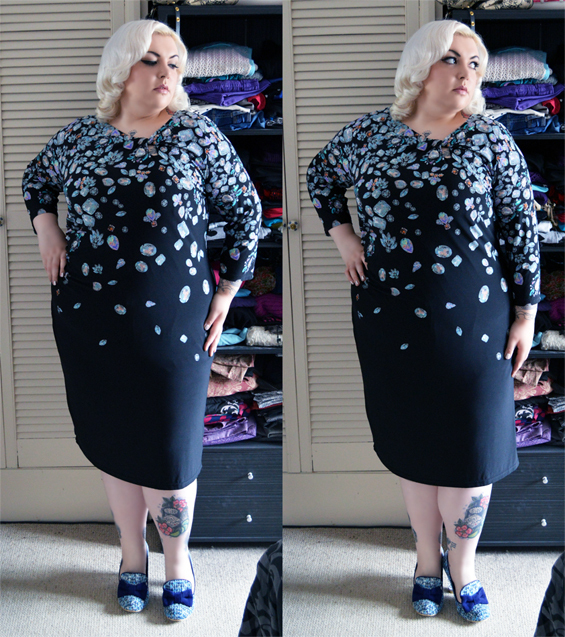 Jewel In The Crown - An Outfit Post & Five Way Review for Anna Scholz at Simply Be - Sugar, Darling? A few weeks ago when I was sitting in the cafe at Wentworth Castle with my MIL & SIL I received an email from a lovely lady called Carey asking me if I'd like to take part in a five way review for Anna Scholz's new season collection for Simply Be. I immediately got very excited and jumped at the chance as only the week before I had been admiring the collection in the new season Simply Be catalogue that had dropped through the letterbox. 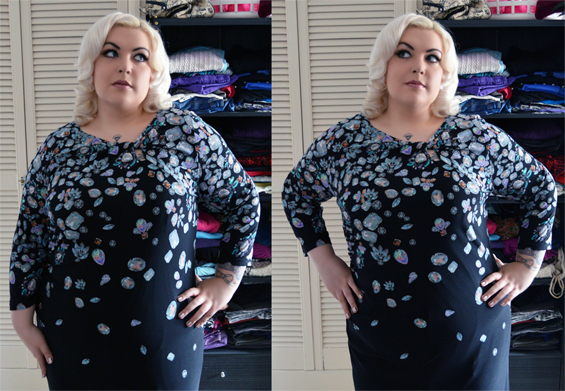 I chose the beautiful jewel print dress to review and it is just gorgeous. Anna Scholz brand themselves as luxury plus size designer fashions and this dress really lives up to this statement. It is made of a wonderfully soft and light printed fabric with a fully lined bodice and skirt and fits like a dream. The twist at the neckline and gathering on one side of the waist really show off the quality of the material and how it moves and flows like water. I usually wear cardigans over everything to cover my less than smooth back area, but don't need to with this dress as it hangs really gracefully giving a lovely outline to your body. Because this is such a classic shape and an unusual but very feminine print I know I'll get lots of wear out of it for years to come, it's not the kind of thing that will be out of fashion and stashed in the back of the wardrobe after just one season. I'll definitely use it when I need to look more formal for work, but will also be happy to wear it on nights out as it's so glam! 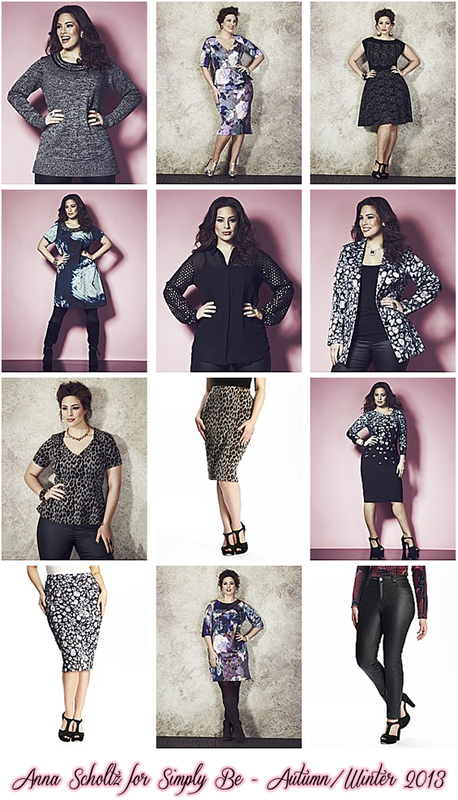 Here's a snap shot of the rest of the gorgeous collection for you to check out too! Four other lovely bloggers are taking part in this review too, so why not head on over to their pages for a look at what outfits they chose to review?